Double Terminated Hematite Quartz CrystalLovely natural quartz formation with hematite inclusions cr..
Lovely Himalayan Loverly Chlorite on Quartz ClusterChlorite Point with Cluster approximate size: 44..
Lovely Himalayan Hematite Chlorite Quartz point sparkly formation, the point has sparkly overgrown o..
Chunky Point Quartz Cluster, Nice formed chunky points in this formation, an esstential crystal for ..
Classic clear quartz Faden with the 'thread' through the crystal, lovely example of faden quartz, or.. Double terminated points in this part tabular Himalayan quartz cluster, approximate size: 90mm..
English quartz cluster nice distinctive stubby points and terminations from Cumbria approximate size..
English quartz cluster nice distinctive points overgrown on fluorite, nice and sparkly on the under ..
Lovely small Epidote and Quartz Cluster From the Himalayan regions approximate size: 29mm(1.1"") x ..
Faden Quartz Point Cluster, lovely formation, unique with a cluster of faden crystals around a qua..
Lovely Himalayan quartz cluster, flatter in appearance, due to growing attached to a level surface, ..
Green Multiple Tourmalines Quartz Matrix, lovely shade of bright green tourmaline crystals with cont..
Green Tourmaline Quartz Lepidolite Mica MatrixGreen Tourmalinated Quartz Lepidolite Mica ..
Lovely Himalayan Hematite Chlorite Quartz Cluster, wider flatter piece with hematite on random quart..
Lovely Himalayan stubbier quartz crystals eith clearer tips and a fair few flatter hematite crystals..
Lovely natural quartz formation with hematite inclusions creating this lovely red brown colour varia..
Lovely Himalayan included(chlorite etc.) quartz formation, approximate size: 177mm(7"") x 50mm(1.9"..
Lovely Himalayan quartz cluster with Topaz crystals, approximate size: 75mm(2.9"") x 50mm(2"") x 30m..
Large Brazilian Quartz Crystal Cluster, chunky interlocked points on a thick base, an esstential cry..
Large Quartz Crystal Cluster, with several larger points one side, smaller point formations the othe..
Manganese Quartz Lodalite Cluster, quartz with a combination of manganese and other inclusions, grea..
Lovely Himalayan Multi Self Healed Terminations Quartz, quartz covered in tiny terminations and a co.. Multiple Quartz Crystal Cluster, lovely quartz formation with many points in the same direction app..
A hint of Pink within this Quartz Point Formation, also has small chlorite type inclusion on one of ..
Lovely Himalayan quartz cluster, with many points larger and small growing out in most directions.ap..
Natural Brazilian quartz cluster approximate size : length 81mm(3""1/8) x 80mm(3""1/8) x 35mm(1""3/8..
Brazilian quartz cluster approximate size: 153mm(6"") x 106mm(4""2/8) x 90mm(3""4/8) *actual item..
clear quartz cluster, approximate size: 116mm(4.5"") x 88mm(3.4"") x 33mm(1.3"") *actual i..
From Brazil. 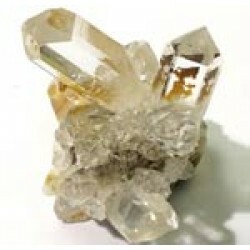 approximate size: 99mm(3""7/8) x 119mm(4""5/8) *actual item..
Lovely Himalayan quartz cluster, approximate size: 146mm(5.7"") x 73mm(2.8"") x 67mm(2.6"") *actual ..